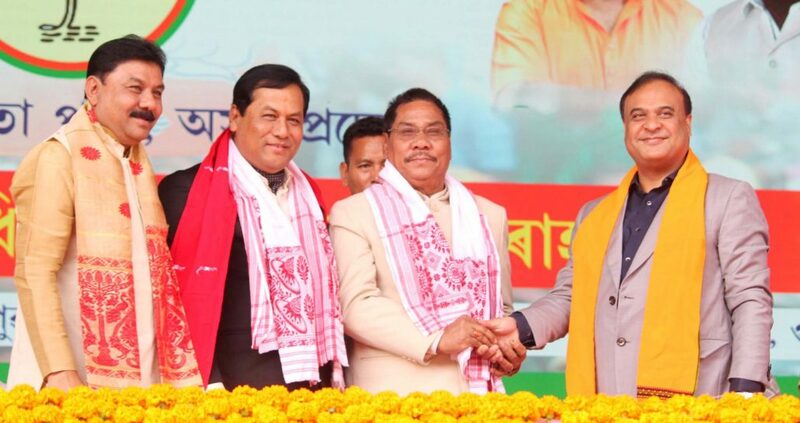 With Lok Sabha elections less than three months away, the Congress in Assam suffered a setback on Thursday as former party MLA Bidya Sing Engleng joined BJP here in the presence of chief minister Sarbananda Sonowal. Former Diphu legislator Engleng, who is also a former general secretary of APCC, was inducted into the BJP by party state president Ranjit Dass and finance minister Himanta Biswa Sarma in a programme at Sarusajai here. Englang was known as loyalist of minister Sarma when he was in Congress. Former president of state NSUI, Monoj Hazarika also joined the saffron party in the same programme. The Assam BJP organised a rally at Sarusajai to felicitate the party workers who won the recently concluded Panchayat polls. On January 19, former legislator and Hailakandi District Congress president Rahul Roy resigned from the primary membership of the party. Miffed at the Congress party’s stand on the Citizenship (Amendment) Bill, 2016, Roy, who is son of former minister and an influential Congress leader of Barak Valley, Gautam Roy, has resigned from the party. Sources said both father-son duo are likely to join the saffron party soon.